Available on Android, iOs and Desktop applications. LastPass Password Mangaer is an online service that allows individuals to download their online passcodes and just auto-fill them next time. Have you ever come across close friends or old grannies who just can't think of a different password keygen for their several online functions and purposes - all for fear of forgetting them? That's pretty dumb strategy to employ. They use the same password for Facebook, Twitter, Instagram, Tinder, their email accounts - hey! come off it, we are in 2018! Currently a fan favourite so far in our October list of top Android Apps - it is a must try for any online user and social freak to say. What if I reveal to you an amazing app where you can store all your online security information and just auto-fill them next time you want to login. 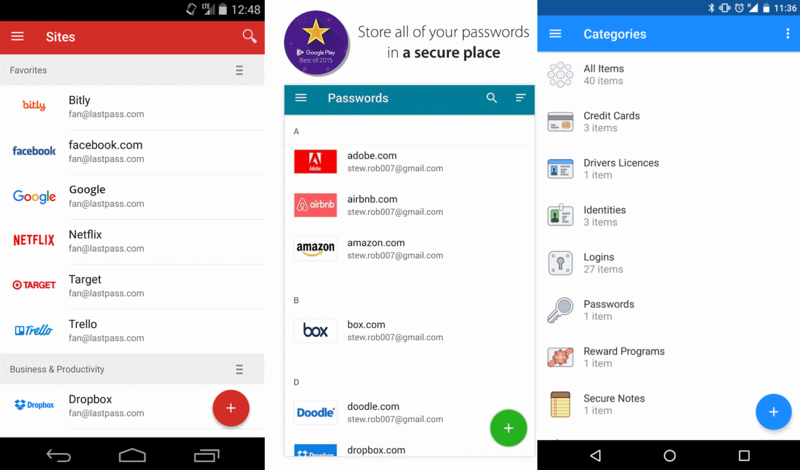 LastPass Password Manager is the name. What the heck' is it? LastPass might literally be referred to as the biggest name in password management. It is an online password management service that strikes a balance between providing many security features for individuals while helping keep you anonymous on the web. I promise you, you are not gonn' use the forget password option anymore after installing LastPass on your device. Like many numerous password managers, LastPass stores your data on its own servers in the cloud as well as on your device. This makes syncing among various devices easy and convenient, but it does create a greater risk that the data could be compromised. Going a far as securing your data with AES-256-bit encryption and salted hashes. Your data is encrypted and decrypted on your device, so the data stored with LastPass is in a readable state only on your device(s). 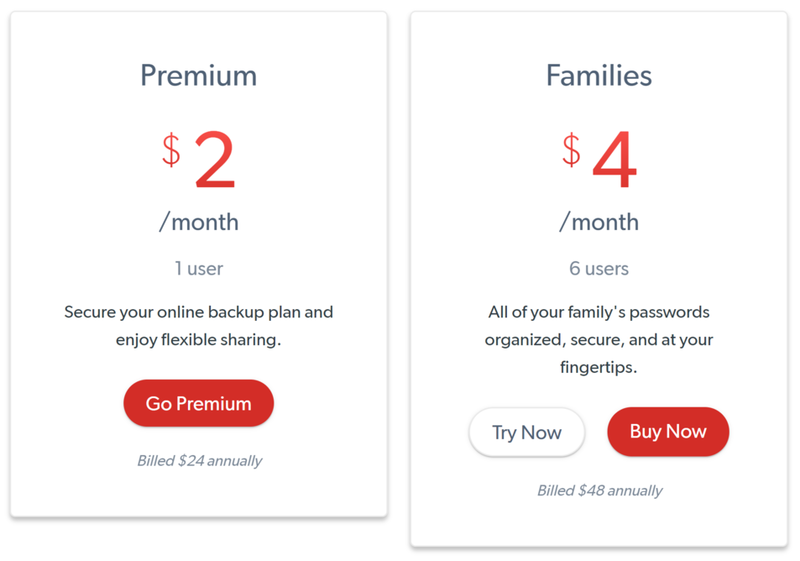 At $24 per year, LastPass Premium is middle-of-the-road on pricing. Many users will find that they can get by with LastPass' free tier, which, remarkably, supports synchronizing across all of a user's devices. However, individuals willing to pay $40 per year may want to check out Dashlane, which matches LastPass on features and adds a few unique ones of its own. A very big plus for LastPass is its ability to be sync a given account on multiple device platforms. Individuals can, therefore, choose between Desktop, Android, Mac OS, etc devices without having to worry about setting up a new account on the different platforms. For LastPass Desktop setup, individuals who stick to a single browser might implore option of simply installing the LastPass extension in that browser ay Chrome, FireFox, etc. But if you are a hawk, occasionally switching browsers, then it would be wise to consider downloading the universal binary from the LastPass website. For LastPass Android setup, users might want to get the LastPass Apk file from Google PlayStore and just install directly to their device. Individuals running a fingerprint-supported device possess the exclusive premium right of setting up Fingerprint authentication for their vault security. For LastPass iOS device setup, get the app from the app store and install to device, proceed to account creation and then, you have your vault to start saving your passwords. You can log in with Face ID on an iPhone X, and with Touch ID on an iPhone that supports it. Regardless of which device option you select, your first task is going to be selecting a master password. This password isn't stored by LastPass, so it is the one password you will still need to remember in order to access your vault. The mobile apps on both Android and iOS share most of the features and design of the desktop browser interface. But you do lose a few features, among them the ability to change multiple passwords at once. The iOS app breaks slightly from the navigation used by the desktop-browser interface and Android app; it adds a second navigation bar at the bottom of the screen to move among your vault, the built-in LastPass browser, Security and Settings. 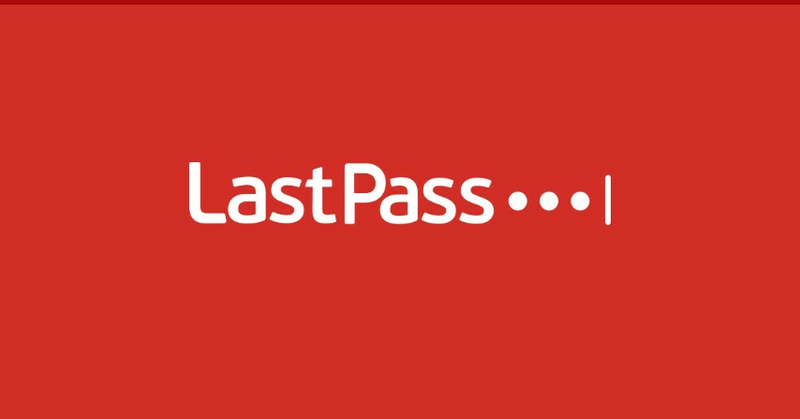 Altogether, users might want to get the LastPass browser extension available for Desktop - Microsoft Edge LastPass browser found in the Microsoft Store, Mac - Mac standalone application from the App Store and Android built-in LastPass browser which you can get on The Google Play Store. Clue: This will simultaneously install the extension across all supported browsers on your system. The LastPass Two-factor authentication option is available to both free and premium users of LastPass with other free options like software tools such as LastPass Authenticator, Duo Security Authentication, Google Authenticator, Transakt Authentication and Grid Multifactor Authentication. LastPass Premium subscribers gain hardware two-factor options like Fingerprint Authentication (via Windows Biometric Framework), Yubikey Multifactor Authentication and Sesame Multifactor Authentication available for both iOS and Android devices. Another convenient and rather rare option offered by LastPass is LastPass Portable, which lets you install a portable Chrome or Firefox browser with the LastPass extension on a USB drive. That lets you use the service on a public or shared computer that doesn't allow for the installation of the LastPass browser extension. Going one more is the LastPass Pocket, which puts a stand-alone Windows or Linux LastPass application, complete with its own credentials vault, on a USB stick. This will sync with your locally cached LastPass browser extension when plugged into your PC, but can also be run straight from the USB drive. LastPass also supports a Sharing Center where you identify passwords that you want to share with other LastPass users, who need to have LastPass accounts of their own. When sharing a password, you get the option of providing the recipient with a locked password for blind login or open password which they can see and then use for login. Recall sharing Google Drive data! LastPass Family users are able to share passwords with other registered family members via shared folders with one additional section, in which the family manager(administrator) invites each new member to the family. LastPass also come with a variety of search filters which can be exploited when making use of the search bar. However, users still retain the basic option of strolling down to locate the exact password they need. In the event that you do forget your master password - for login into LastPass, you get a series of options to reset it and keep your account. You have the option to create a password reminder or to ask LastPass to save a phone number to which the service can send an account-recovery SMS. There is also a one-time recovery password for any browser on which you have previously used LastPass; triggering account-recovery mode will give you a recovery password you can use to reset your master password. LastPass Password Manager supports Windows Vista and above, Mac OS X 10.7 Lion and up, the most common distributions of Linux and Chrome OS. Supported browsers include Microsoft Internet Explorer, Microsoft Edge, Mozilla Firefox, Apple Safari, Google Chrome, Opera and Maxthon. On mobile devices, LastPass is available for iOS 5.1 and above, Android 2.3 and up, and Windows Phone 7.1 and beyond. You can download old versions of LastPass for BlackBerry, Symbian and WebOS. It is definitely one for all! There's some strong competition out there, but it's still easy to see how LastPass stays on top when the big bossess come calling - think Google.